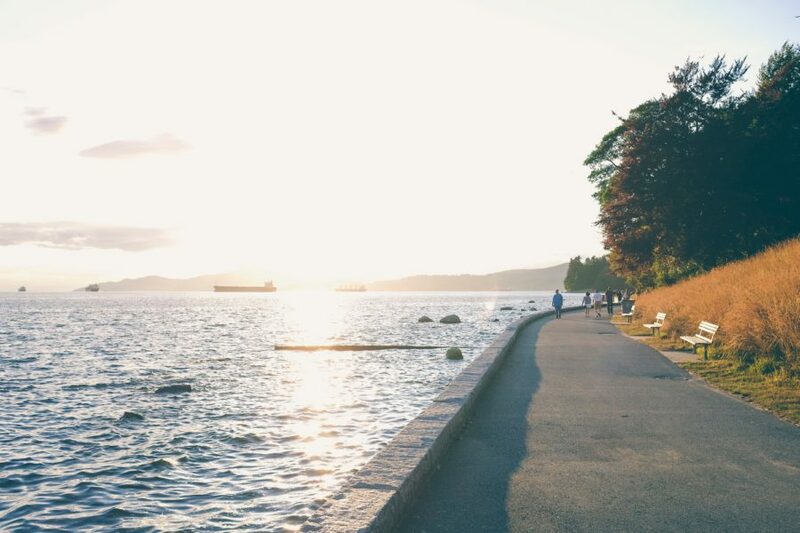 Looking for springtime activities in Vancouver? 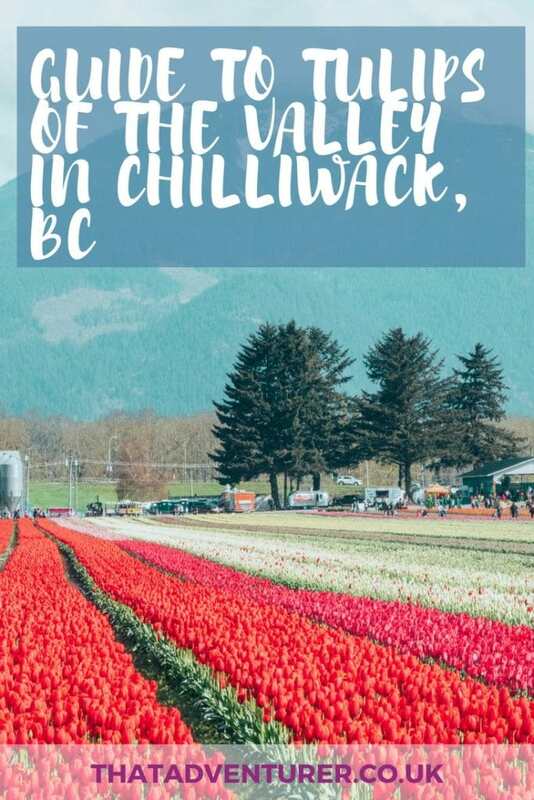 You have to add visiting the Chilliwack tulip festival, Tulips of the Valley, to your Vancouver itinerary! Tulips just shout “spring”. I love having a vase of fresh tulips on my dining table or by my bed and swapping between colours. The moment the shops and markets start stocking tulips you just know summer’s on the way. 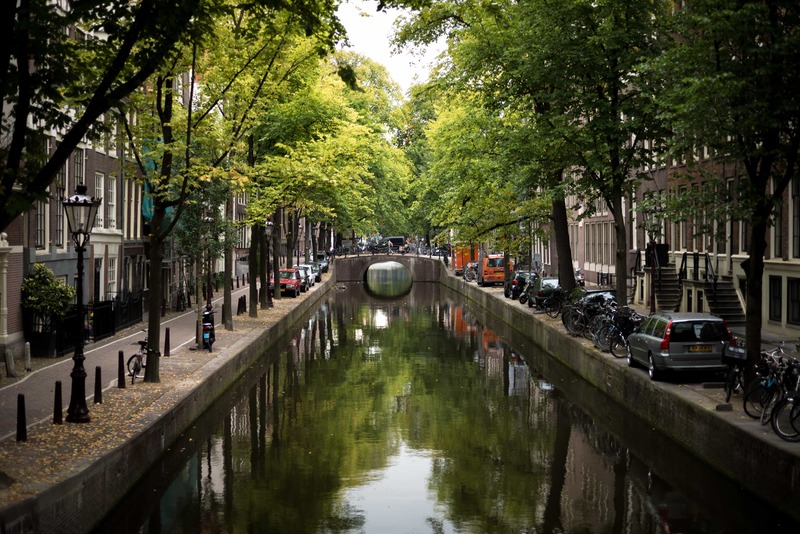 Amsterdam gets all the attention when it comes to tulips and rightly so since they know just how to throw a tulip festival. But, did you know there are lots of great tulip festivals near Vancouver too? Yes, not only do we have the Vancouver Cherry Blossom Festival but there are several tulip festivals near Vancouver! The Chilliwack tulip festival, Tulips of the Valley, is the longest running, and largest, tulip festival in BC. There’s also the Abbotsford Tulip festival just down the road which is newer. But, at the Chilliwack Tulip Festival, it’s not just about the tulips either as there are also hyacinths and daffodils in their hundreds. 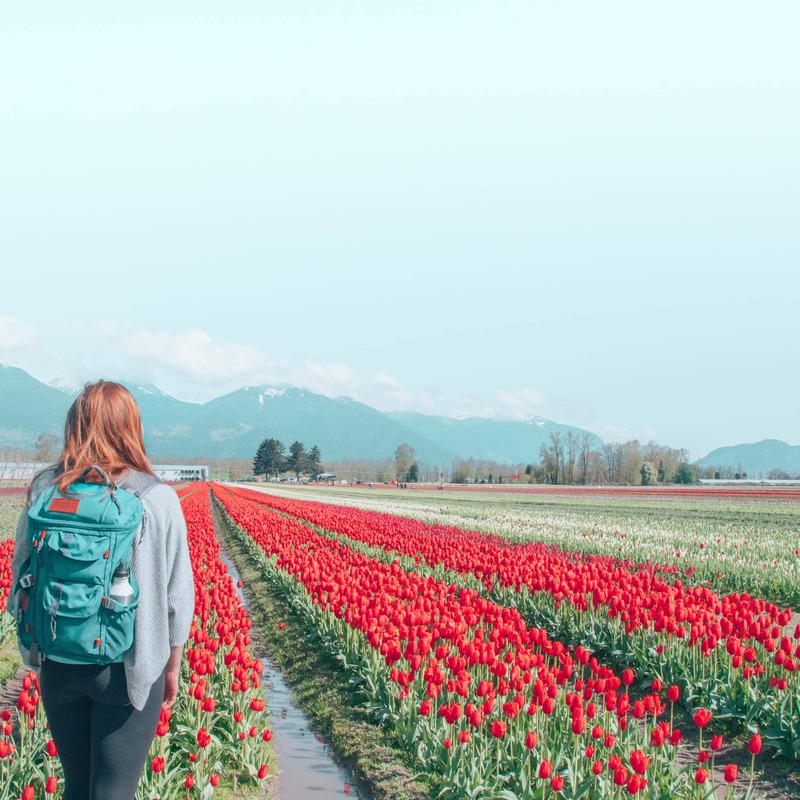 If you’re planning on visiting the tulips near Vancouver this Spring here’s what to know about the Tulips of the Valley festival in Chilliwack. 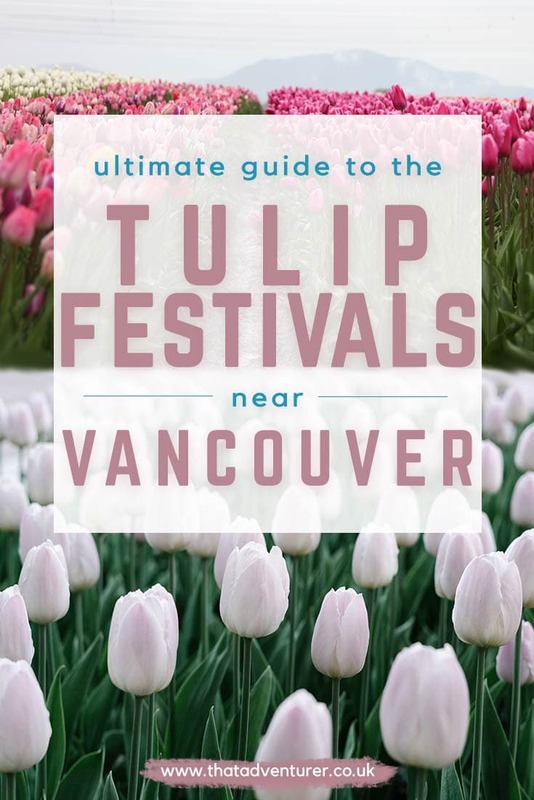 And there are a few more suggestions for great tulip festivals near Vancouver towards the bottom too! What is Tulips of the Valley? When is the tulip festival near Vancouver open? When is the best time to go to the Chilliwack tulip festival? How much does the Chilliwack tulip festival cost? 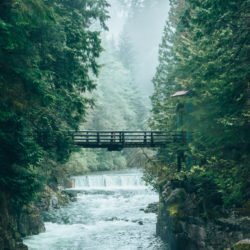 Want more Vancouver travel ideas? Tulips of the Valley is the longest running tulip festival in BC. 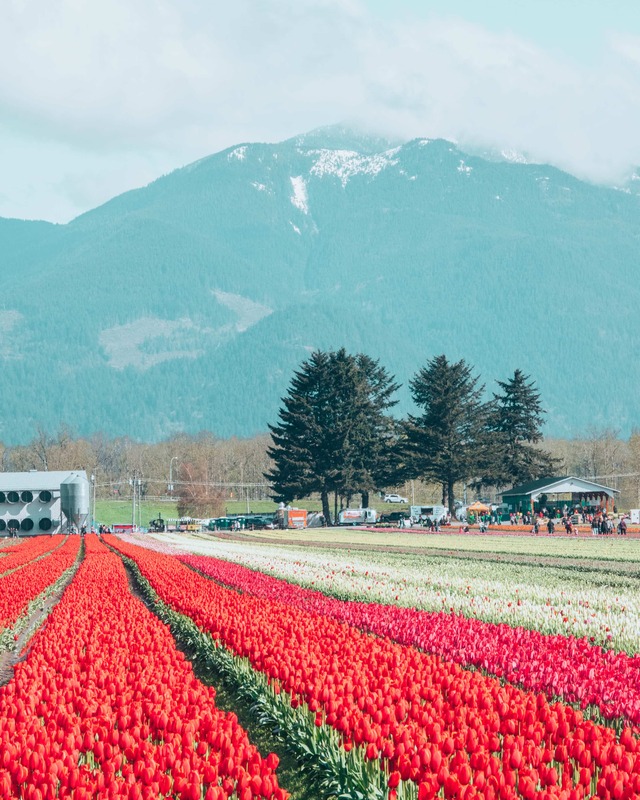 This Canadian tulip festival has been running since 2006 and is held over 10 acres on a working farm near Chilliwack. 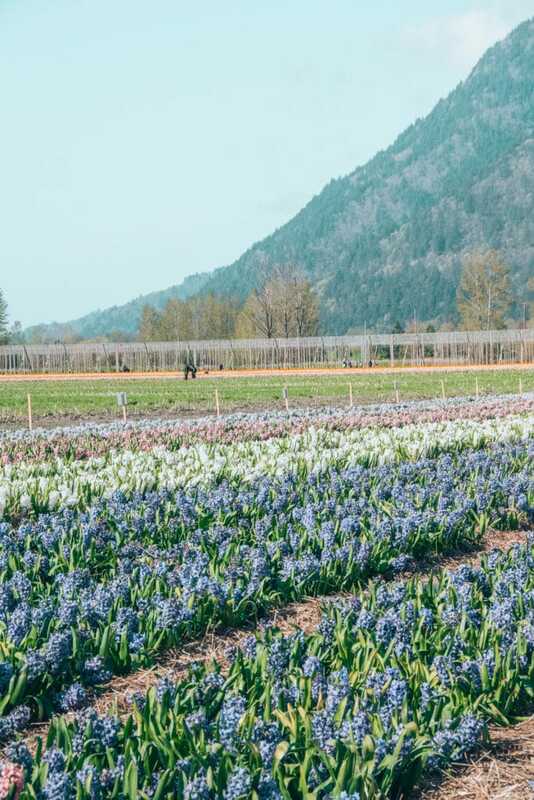 In the spring it becomes a tulip farm but besides tulips, there are also 10 different varieties of Hyacinths and 17 different types of daffodils for you to see! Tulips of the Valley in Chilliwack were even recognised at the ‘World Tulip Summit’ in 2017. They were given the ‘Order of the Tulip’ for introducing tulips to BC and Western Canada. The people behind this festival are widely regarded as Canadian tulip ambassadors. Pretty cool, eh? The tulip garden in Chilliwack opens in April and usually runs until early May but this depends a bit on the weather. You also have to bear in mind that just because the festival is open, that doesn’t mean that the tulips will be in bloom. There’s only one weekend (two if you’re lucky – tulip season is short!) where the flowers are considered to be in ‘full bloom’. 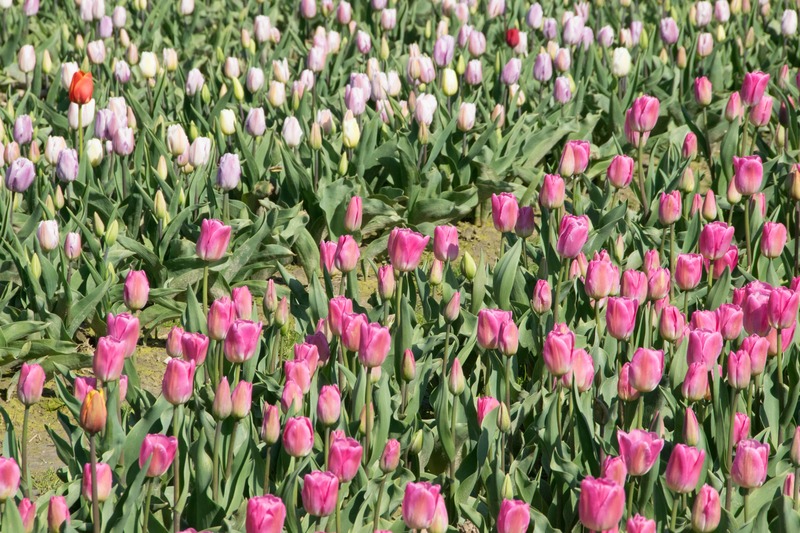 Check the Tulips of the Valley website before you go to see what the bloom status is. Whilst you may be tempted to visit during full bloom, bear in mind that it will be super busy. You’ll probably find it impossible to get photos of the tulips due to all the people at the festival. Unless you’re a super serious photographer, then visiting the festival at half bloom will give you more than enough tulips and photo opportunities without all the crowds of people. I visited Tulips of the Valley during half bloom and there were plenty of rows of tulips in full bloom still. Tulips of the Valley tickets cost $6 on weekdays and $9.99 on weekends when booked in advance online (plus reservation fee). It costs a bit more if you by on the day. The tulip fields can be muddy, especially if it’s recently rained, so make sure to wear sensible shoes! 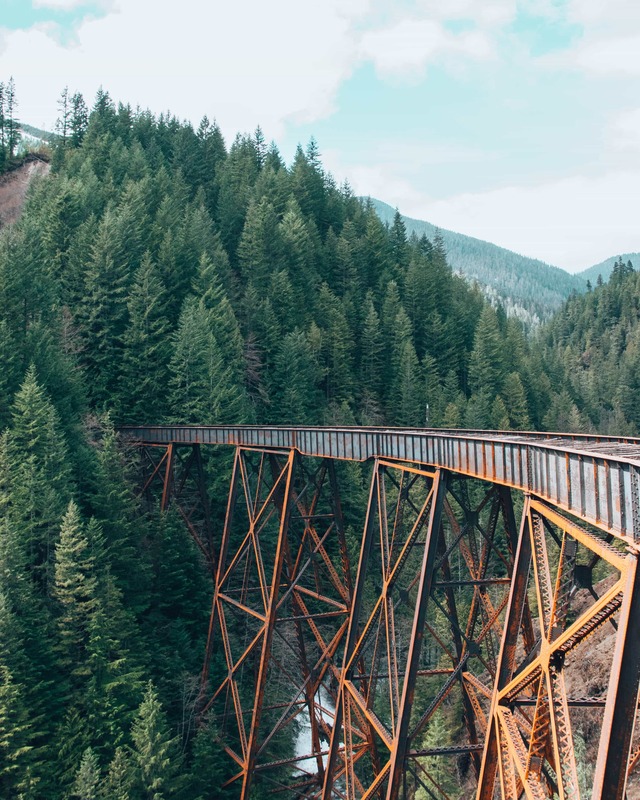 If you’re driving from Vancouver to Chilliwack then just take the TransCanada highway east towards Hope and take exit 109 (Yale Road West). 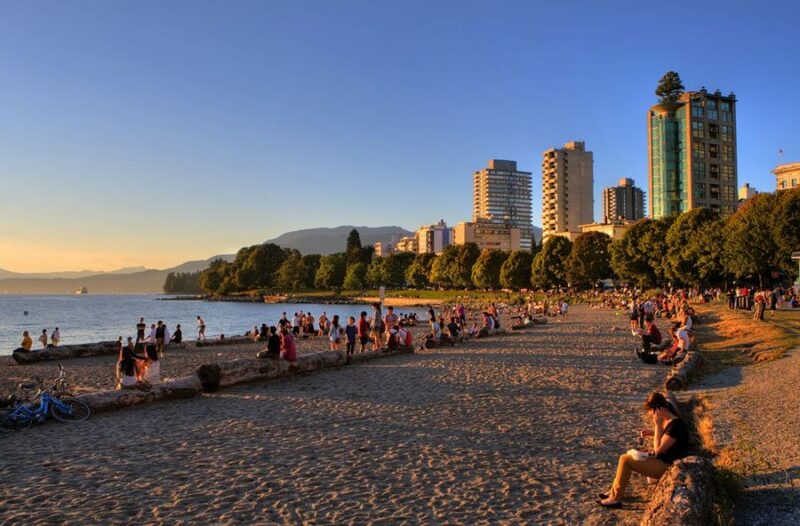 Vancouver is well positioned if you’re hoping to go to more tulip festivals near Vancouver. Luckily our neighbours across the border have tulip festivals too! Here are a few more tulip farms if you’re hoping to get pictures of fields upon fields on tulips this year. Besides the Chilliwack tulip festival, there’s also another popular festival where you can see tulips in British Columbia. The Abbotsford tulip festival, BLOOM, was founded by Alexis Warmerdam who is a passionate third-generation Canadian tulip farmer. At BLOOM you can see 2.5 million tulips in a beautiful country setting. It’s only 1 hour’s drive from Vancouver to see the tulips in Abbotsford. Washington also has its fair share of tulip festivals and it doesn’t take too long to drive down to Washington from Vancouver either. The Tulip Festival closest to Seattle is the tulip festival in Skagit Valley. This is widely regarded as the best area to see tulips in Washington and is the most well-known tulip festival in Washington State. The Skagit Valley tulip fields at the Skagit tulip festival are usually open for the whole of April. The most important thing to know about the Skagit Valley tulip festival is that it’s not at just one location. Instead, you do a self-driving tour of different tulips fields in Washington to see the Skagit Valley tulips in bloom. 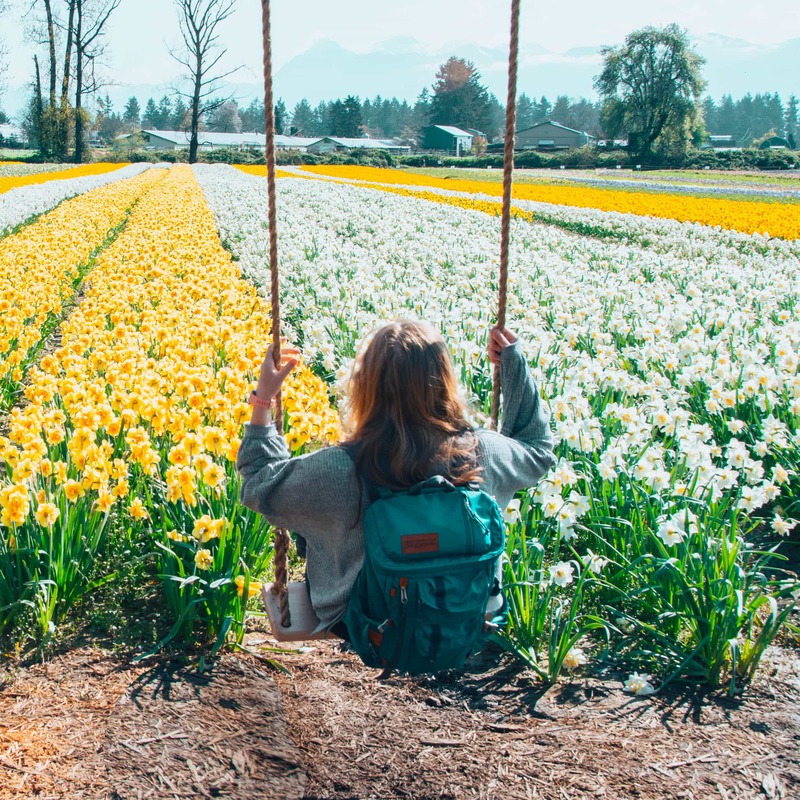 The Skagit Valley tulips have been putting on a show for over 30 years and you’re sure to see thousands upon thousands of tulips during your visit of the tulip farms in Washington. You can see a map of the different tulip farms near Seattle here. If you’re doing a road trip from Vancouver further afield then check out the tulip fields in Oregon! The Wooden Show tulip festival in Oregon is in the heart of the Willamette Valley. It is often thought of as the Portland tulip festival since it’s under an hour’s drive south of Portland. This tulip festival in Oregon runs from March 23rd – April 29th which gives you plenty of time to see the tulips in Oregon. See more details about this tulip farm in Oregon here.